Marina is devoted full-time to caring for her three young children, including one who is disabled. Though her husband works around the clock to provide for them, they still struggle to make ends meet. That’s why she visits the Interfaith Food Pantry of the Oranges every month to get diapers and healthy food for her family. Without the food from the FoodBank, Marina, who’s pre-diabetic, would be forced to skip meals or eat junk food for dinner to ensure nutritious food for her children, ages two, four, and eight. The fresh produce that she receives as part of the FoodBank’s diabetes initiative keeps her condition at bay and helps her husband and kids maintain positive lifestyles. “Taking care of my kids is my top priority, and I’m grateful that this food helps me do that,” she said. Look around. Hunger is everywhere, right here where we live, and it doesn’t look like you think. It impacts our neighbors, colleagues, and friends, though they work hard to make ends meet. Your support makes a real difference in their lives. 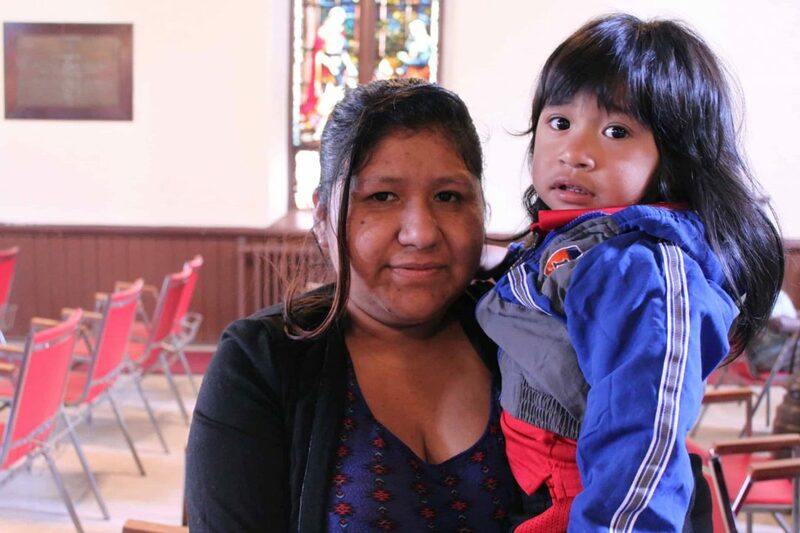 Click here to make a gift to help neighbors in need, like Marina. All gifts DOUBLED until midnight 12/31.